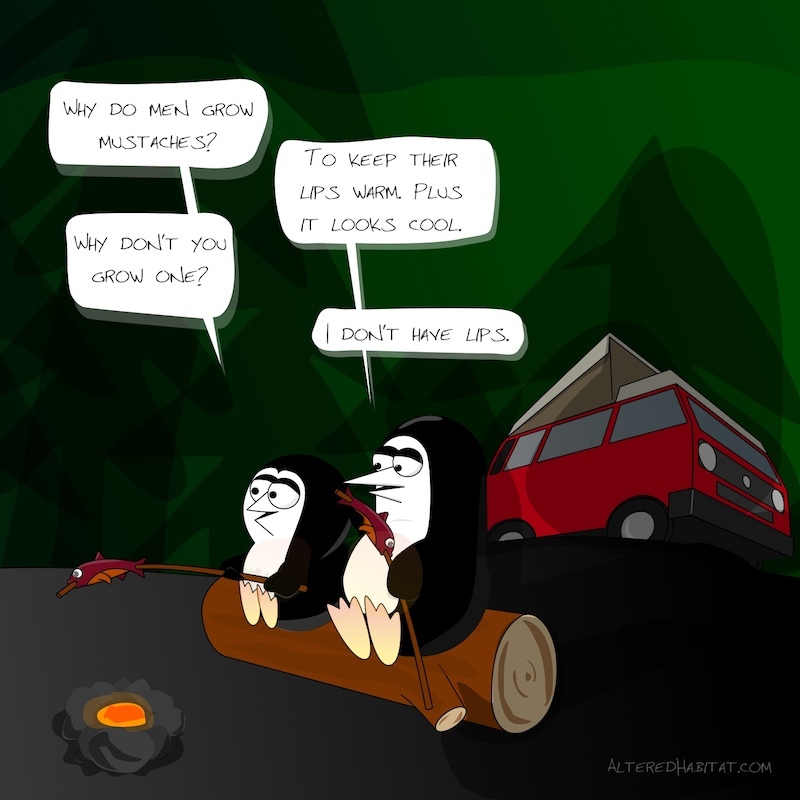 Tip and Penguin sit on a log, camping in the woods, cooking fish over a fire while conversing about the place mustaches hold in life. Tip: Why do men grow mustaches? Penguin: To keep their lips warm. Plus it looks cool. Tip: Why don’t you grow one? Penguin: I don’t have lips.